The Costa Calida in Spain is located at southern end Costa Blanca. The area includes cities like Murcia and Cartagena. With the Mar Menor area and especially the well known La Manga zone, the Costa Calida is very well known for its hot sunny summers and its very mild winters. Most foreigners own property either for summer vacations or as retirement homes around the coast. 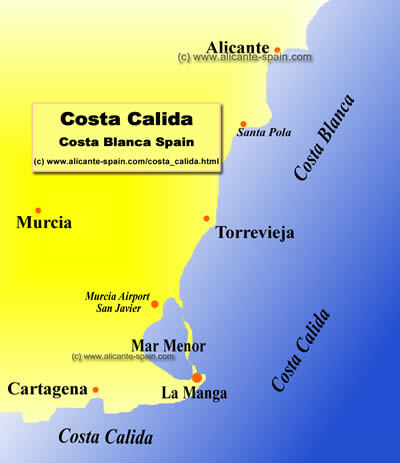 The Costa Calida is not as well known as the Costa Blanca to the north or the Costa del Sol area to the south. However it attracts thousands of locals, especially from Madrid to spend their summer vacations around the Mar Menor and La Manga. 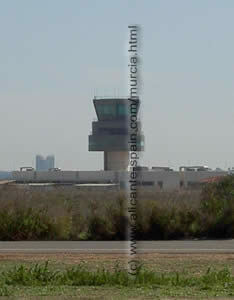 To visit the area you best fly directly into Murcia’s San Javier airport or to Alicante airport which lies about 100km north of the Costa Calida.